Hi Doodlebug Friends! 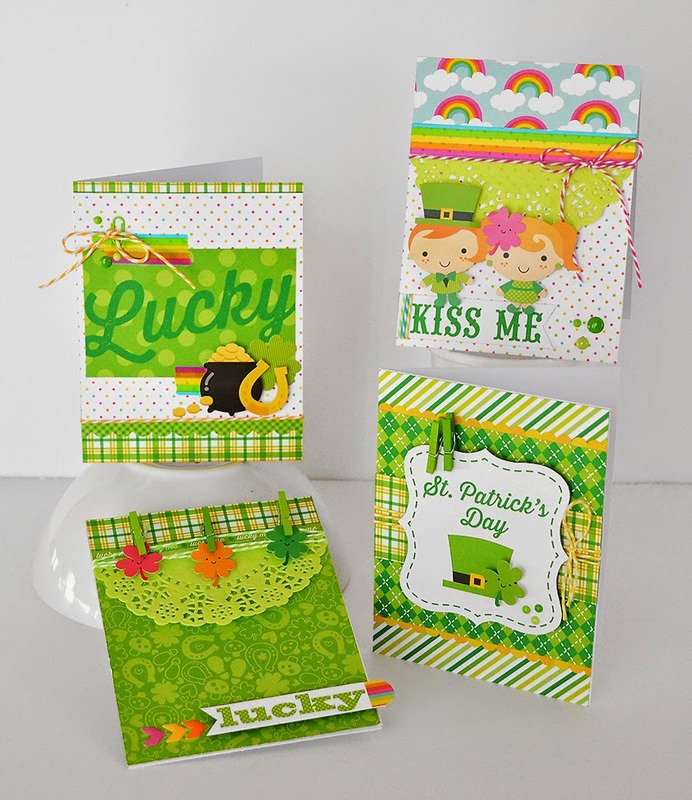 It's Wendy Sue here today, sharing a fun set of St. Patrick's Day cards I made with the oh-so-green-and-lovely "Happy Go Lucky" Collection! 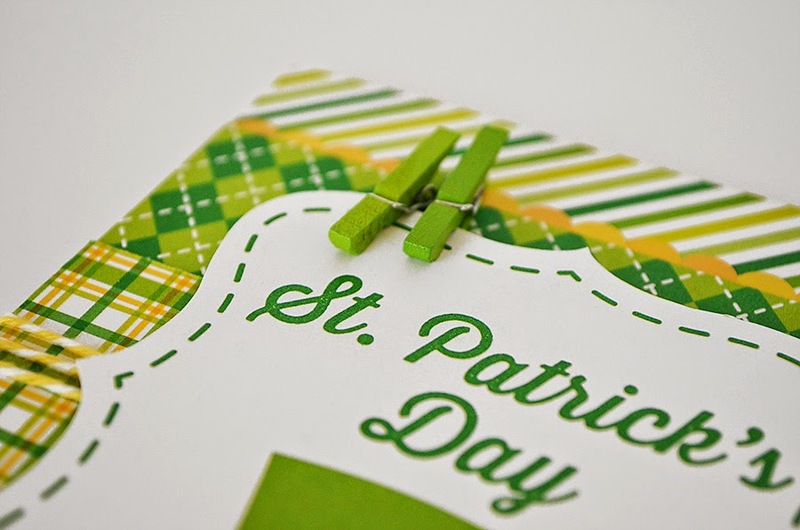 In addition to the super cute "Happy Go Lucky" papers and stickers, I dove into my stash to find lots of additional green (and rainbow) colored items to add to my cards. 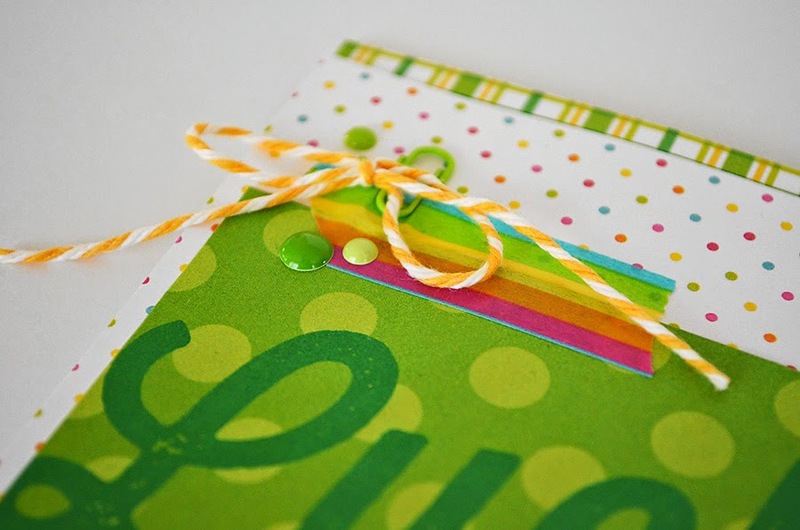 On this card, you'll notice the green mini clothes pins, green sprinkles, and yellow doodle twine. 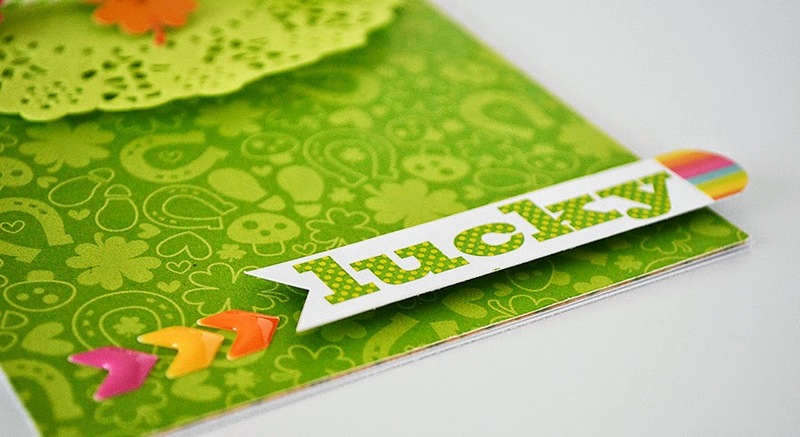 They coordinate perfectly with the greens and yellows on this card! Oh, and the focal piece is one of the journaling cards - I simply trimmed around the bracket shape and added it with pop dots! 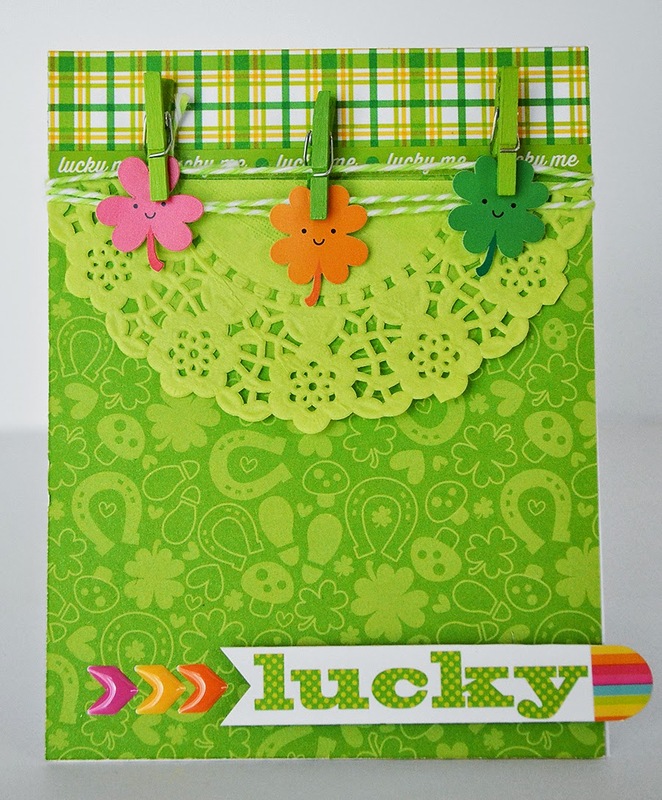 I couldn't resist using these sweet multi-colored four leaf clovers on a card. The rainbow washi tape and multi-colored chevron sprinkles were the perfect addition! And did you spot to green paper doilie and doodle twine too?!? 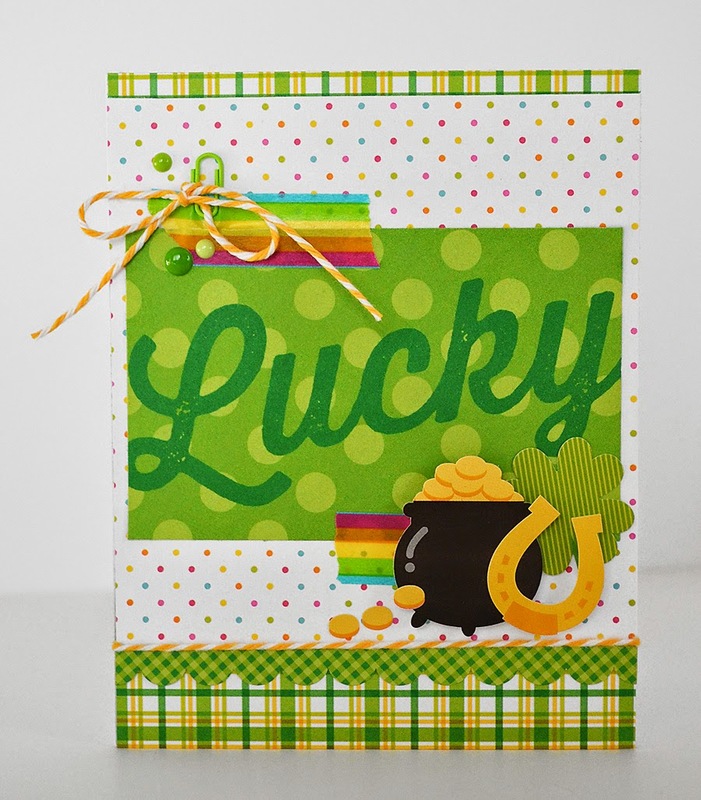 Card # 3 features the pot of gold, gold coins, a horseshoe, and a cute striped four leaf clover for extra luck! 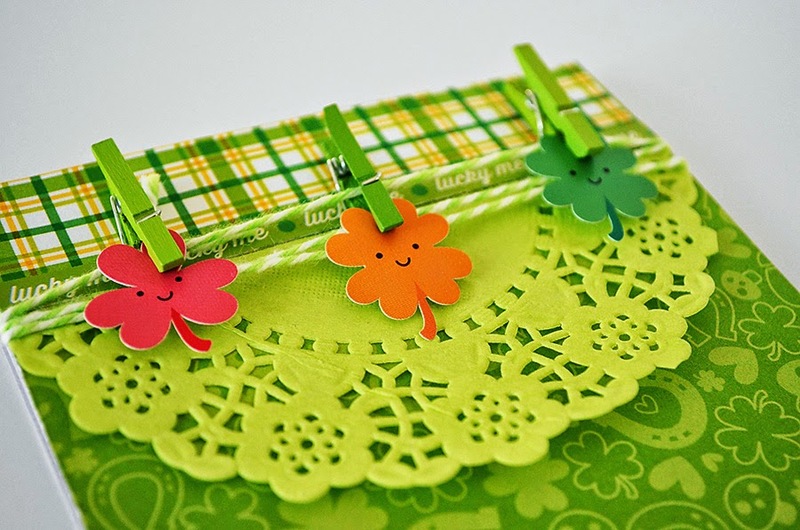 Don't forget to use the color coordinated mini paper clips on your cards! I used more sprinkles on this one...and the rainbow washi - isn't it perfect?!? And I saved my favorite for last! These two little leprachauns are just the cutest things ever! 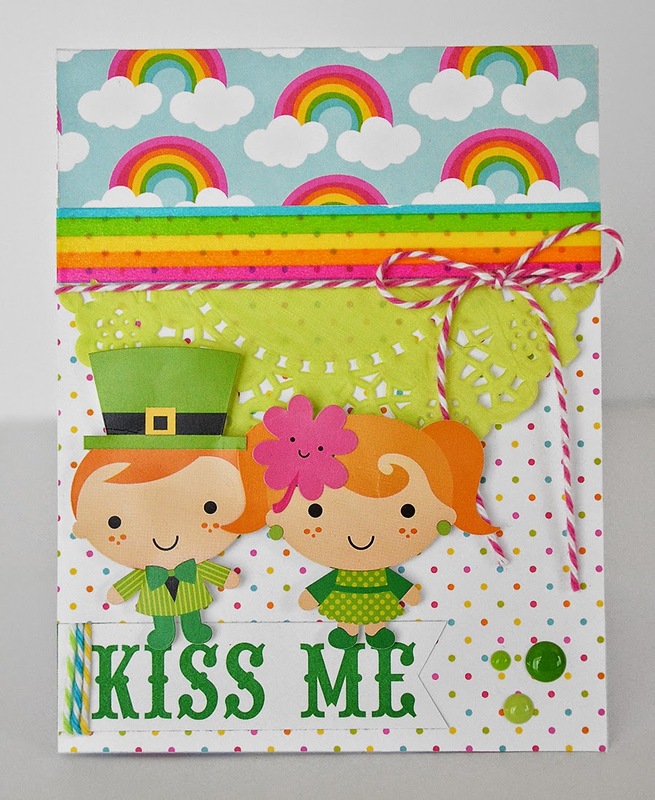 Of course, they should be perched upon a "kiss me" banner and surrounded by rainbows and colorful dots! 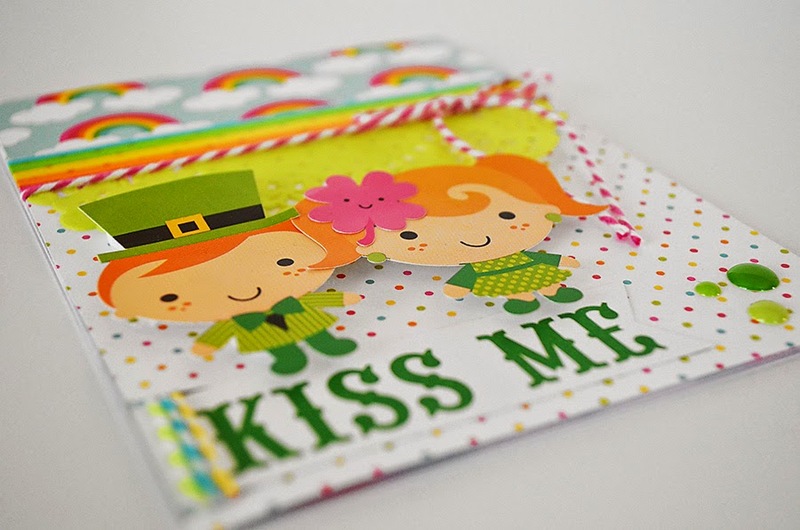 The "kiss me" banner is actually a word strip cut from a 4x6 card and notched on the end. I added colorful doodle twine to the left side and tied pink twine around the top portion. There's the other half of that cute green doilie - and more green sprinkles! 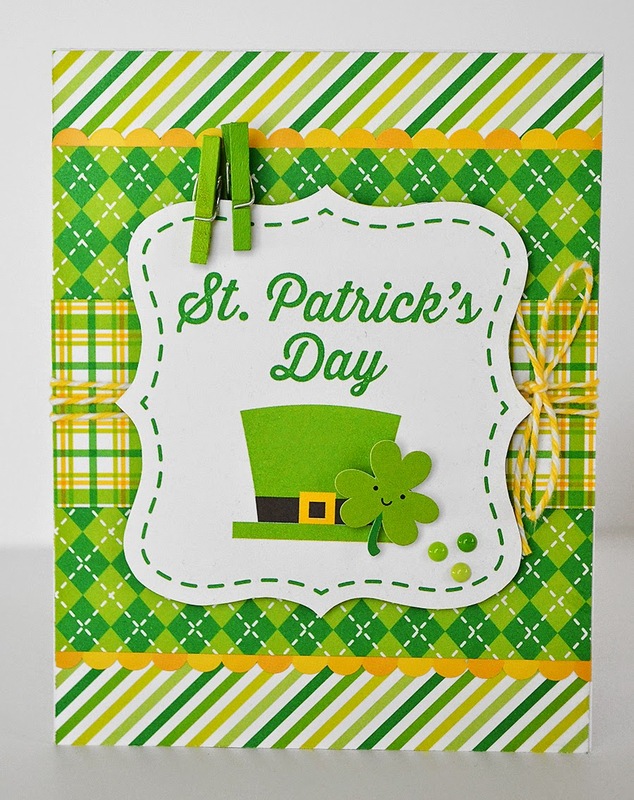 I sure feel lucky to be able to share these cards with you - I hope you're having a lucky day too! You're so sweet, Kathy! Thank you! YOU are amazing - Wendy Sue!! These cards - every single one of them - made me smile so big!! 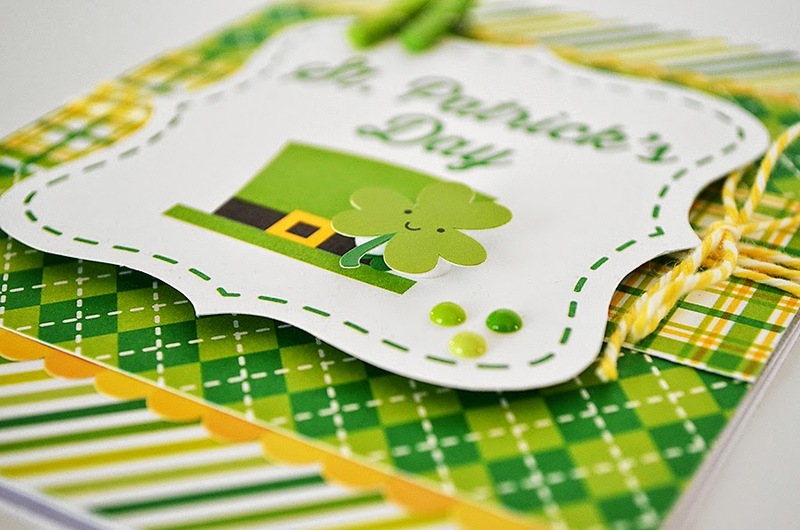 Such awesome ways you have used the collection and other awesome Doodlebug products to create 4 of the cutest St Patricks Day cards EVER in the history of EVER!!!! Love your work and you make things sing!!! I ADORE these GORGEOUS papers!!! 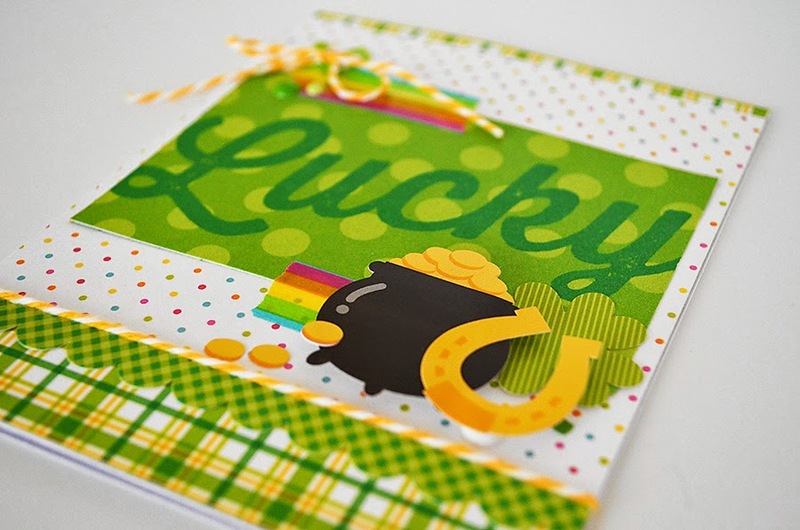 OMG Your Happy Go Lucky Card Set is Adorabs!!! You really did one outstanding and super creative job!! OH Girl anyone who get one is going to be really lucky and you will make them so Happy.....and yes I feel Lucky that I got to see your Fab & Fun card set and it made me happy too. YOU ROCK!! Holy moly miss Wendy Sue!! Never has the luck of the Irish looked so happy and vibrant to me!!! These cards are sure to put a big huge smile on the faces of the recipients just like they did me!! thanks for sharing them and for continuing to inspire us with your bright and beautiful creations!!! Linsey - how sweet are you? Thank you SO much! !